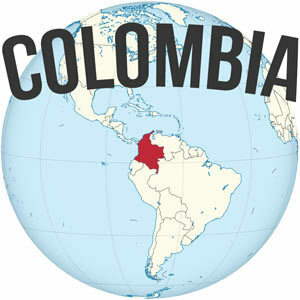 Are you eager to learn Spanish in Medellin, Colombia? I think you’ve made an excellent decision in terms of the country and city to study Spanish, but the question now becomes, where is the best place to learn Spanish? But before we go over that, let’s talk first of all about what exactly makes Medellin, Colombia an ideal place to study and learn Spanish. The most important part of learning Spanish is actually going out there and speaking the language on a daily basis, through full immersion. Thankfully the locals, or Paisas, are some of the friendliest folks in South America. It’s not like Peru or something where you have to pull teeth to have a conversation. If you’re outgoing, you can strike up conversations quite easily. I’m not very outgoing, but I still found it easy to talk to people, mostly because they were interested in talking with me, knowing more about where I am from, how I like the country, etc. 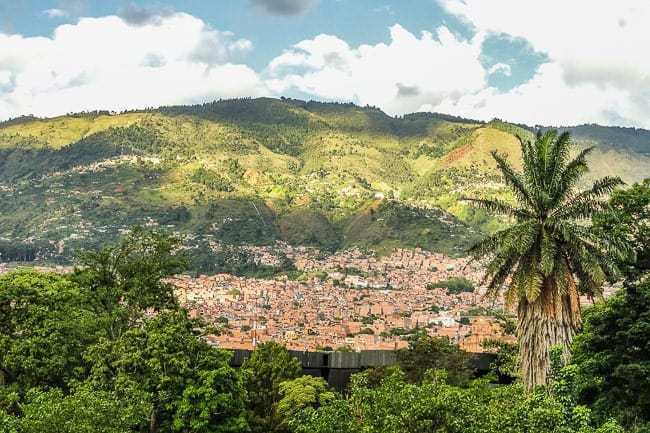 No country or city in Latin America has a totally neutral accent, and Antioquia (the region where Medellin is located) has its own peculiarities, and you’ll have to get accustomed to a bit of Colombian slang, of course. BUT, comparing it to other accents around the Spanish speaking world, it is pretty neutral, unlike Mexican Spanish, Chilean Spanish, Argentinean Spanish, or even Spanish Spanish. I’d rather speak like a Paisa than any of those particular accents. If you speak to people along the coast of Colombia, you’ll find they speak much faster and tend to chop or combine words together which makes things challenging for a beginner. Medellin is a fairly big city, but not monstrously big like Bogota or Mexico City or so forth. This means that you’ve got a great cosmopolitan mix of great restaurants, trendy neighborhoods, co-working spaces, fast Internet, upscale malls, and so many more amazing things to do, but without the crushing weight of 10-20 million people. 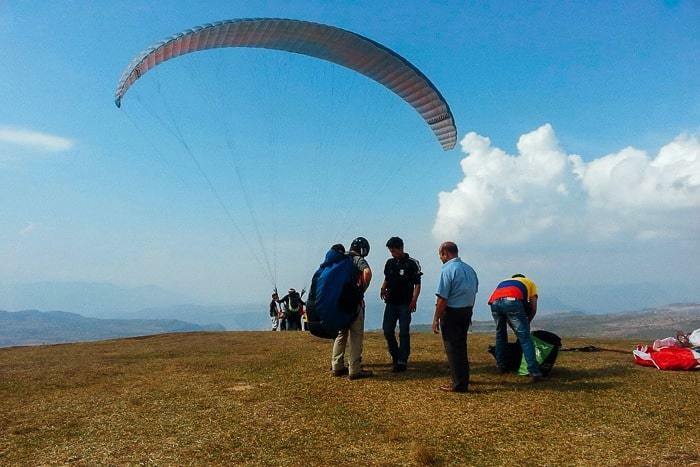 Medellin is also famed for its great weather year round, as it is known as the City of Eternal Spring. Weather is hot in the daytime and cool (but not cold) at night. It’s a quite pleasant climate for the most part. Even in the rainy season, it tends to only rain in the late afternoon or evening, giving you plenty of time do other things during the day. Even though the city is quite educated and many residents have spent years studying English, you don’t often encounter English among the locals. Even when they speak English much better than you speak Spanish, you can be talking and struggling for like fifteen minutes before they offer up their English. Most Paisas are relatively shy about using English, which is also part of what makes it such a great place to really focus on using and practicing your Spanish on a daily basis. Unless you are living in Poblado, you probably won’t run into many other foreigners either, so you can immerse yourself. 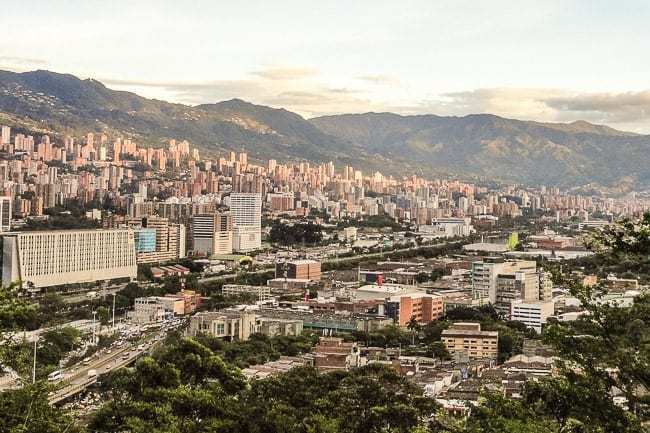 I’d recommend Laureles as the best neighborhood in town, but be sure to read my more comprehensive guide about where to stay in Medellin or the top 10 best Medellin hostels. 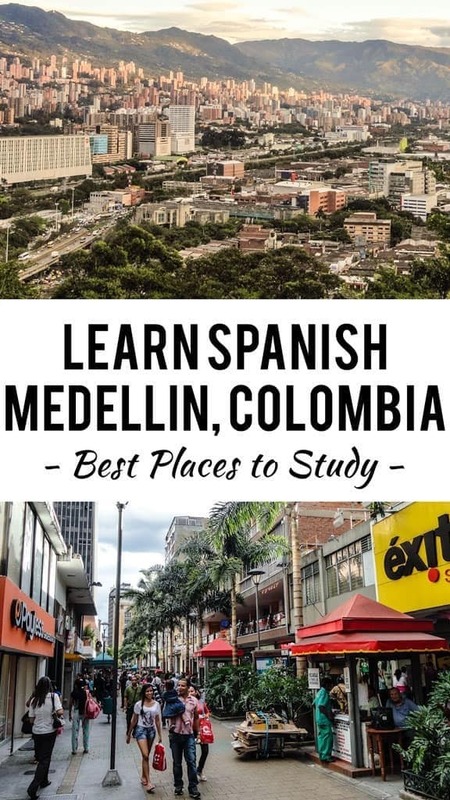 Truly, Medellin is one of the best places to learn Spanish, and it’s just an awesome place in general — although watch out for these things I hate about Colombia, hah. 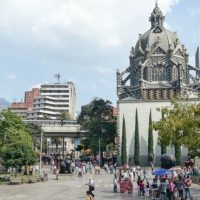 Where to Learn Spanish in Medellin? 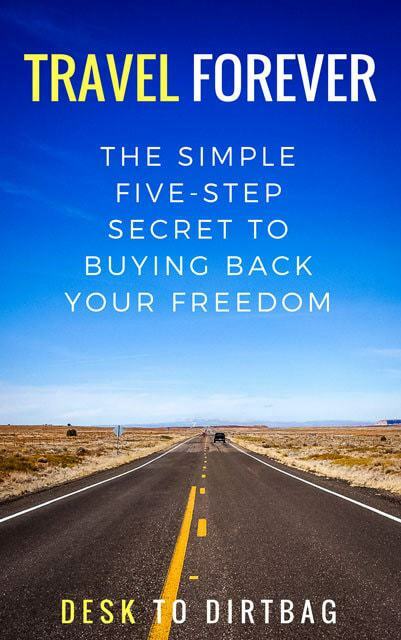 Now that we’ve covered the why, it’s time to talk about where. 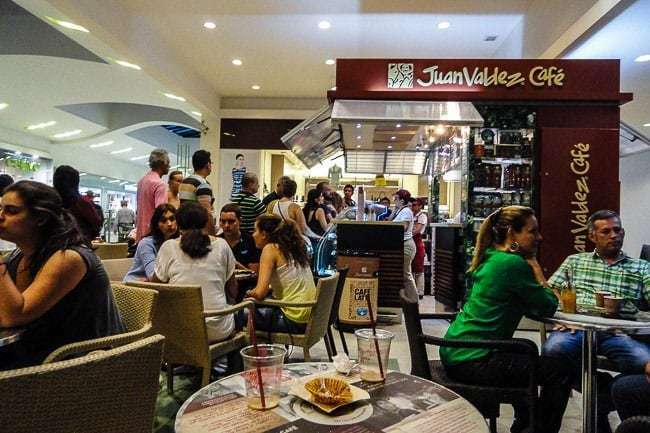 There are a plethora of opportunities to learn Spanish in Medellin. 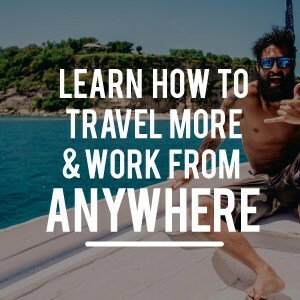 First of all, the most important is to learn Spanish on your own… You should try and learn as much as possible before you ever step foot on the plane. I’ve written at length about the many resources I relied on to learn Spanish, so check out that article first. But you should also continue to teach yourself Spanish upon arriving. You won’t be out on the street talking to people all the time, so use your downtime to keep studying. Ultimately learning Spanish has more to do with YOU than any school or teacher you ever decide on. If you don’t have the drive and initiative to learn the language, no one program or person is going to make it happen for you (except for you). 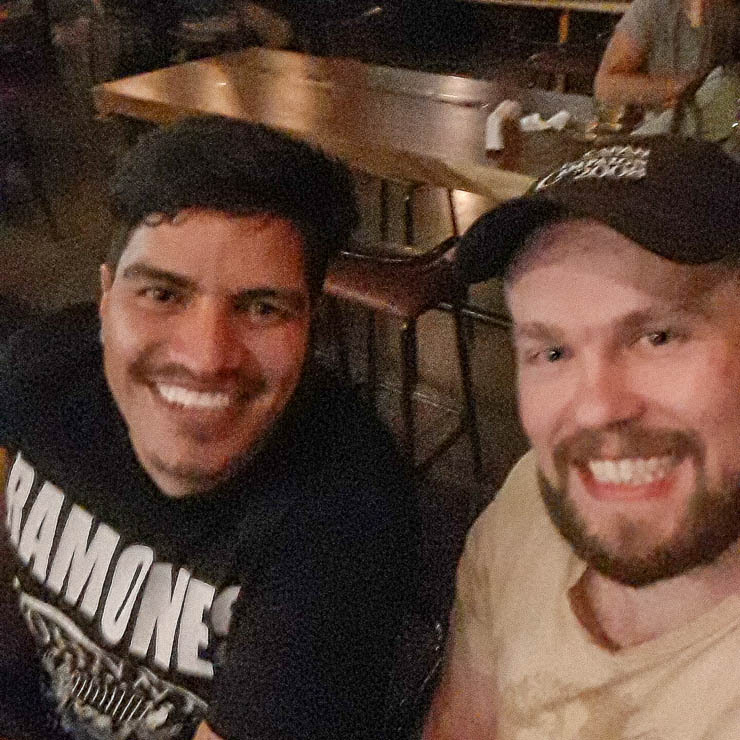 There are many different language exchange nights throughout Medellin from Envigado to Poblado to Laureles, and beyond. Here you will meet up with locals eager to practice their English and you will engage in a half-and-half conversation speaking both Spanish and English at intervals. These are great opportunities to meet new faces and practices conjugations. Perhaps one of the best-known language exchanges is in the Wandering Paisa hostel every week. But check out Facebook Events for plenty more opportunities throughout the city. The two most popular universities for studying Spanish in Medellin among foreigners are undoubtedly EAFIT (in Poblado) or UPB (in Laureles). Both universities are private and tuition is relatively expensive, but you do have the benefit of then being eligible for a student visa which allows you to stay in the country for a longer period of time compared to a tourist visa. I’ve heard mixed opinions about the university language classes, both by people who found them to be a comprehensive solution that helped them learn Spanish over a year, to those who found the curriculum and structure to be too confining. 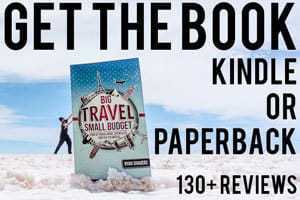 If you want to learn the language and stay in the country for more than six months, then those are your best bets. There are also a number of private language schools or institutes that specialize in teaching Spanish to foreigners. These small group classes can be a great way to hit the ground running in the city and to meet fellow travelers as well. Toucan Spanish, Total Spanish, and Colombia Immersion are a few of the better-known schools, and I’ve heard great things, especially if you are looking for a social circle. These schools do cater specifically to foreigners though and are located primarily in and around Poblado, which means you will find yourself surrounded by other English speakers which will undermine your efforts to learn the language. True immersion is the fastest way to learn any language. 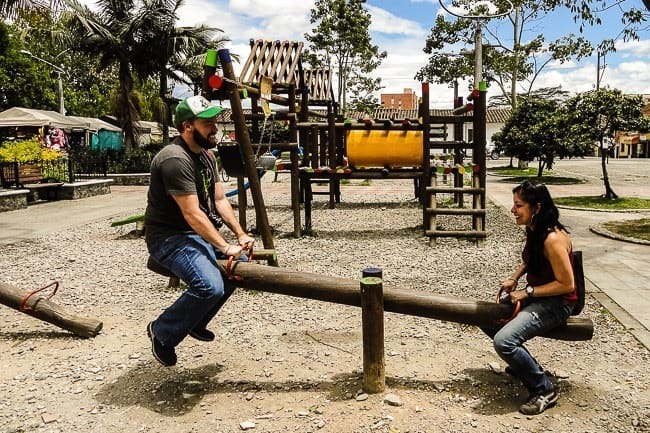 Honestly, I think the best way to actually learn Spanish in Medellin is to hire a qualified and experienced Spanish teacher for one-on-one lessons. If you don’t need the social circle or the student visa, this is the best way to actually learn to speak and understand Spanish. It’s quite affordable too (much moreso than the other options). This way you get to focus on exactly what you need in your Spanish studying, you are getting ALL the focus and must be present (not like group classes where you can and will zone out), and you aren’t wasting time (and money) studying over your head or at a level below you and stuck with whichever student is the lowest common denominator (they always hold everyone else back). 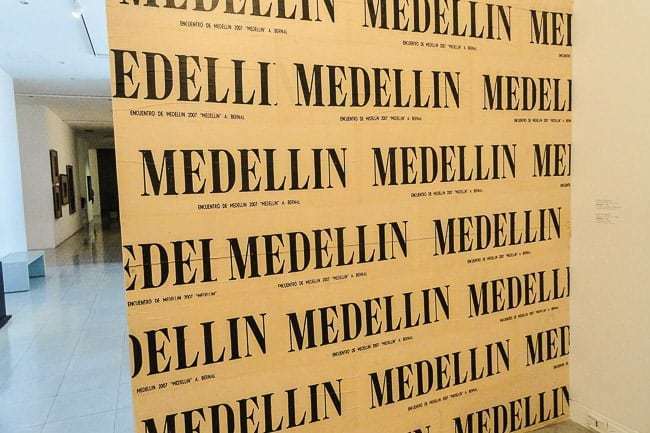 When I first got to Medellin, I took two hours of 1:1 class per day, five days per week. We spoke entirely in Spanish (100%) and conversed about all manner of things for two straight hours. It was intense but worth it. There are many teachers out there, but I studied with Miguel Yepes, who charged 35.000 COP per hour for 1:1 class. You can visit his site at http://spanish-zone.blogspot.com/ or send him an email to miguelyepes (at) gmail.com – just tell him Ryan sent you. 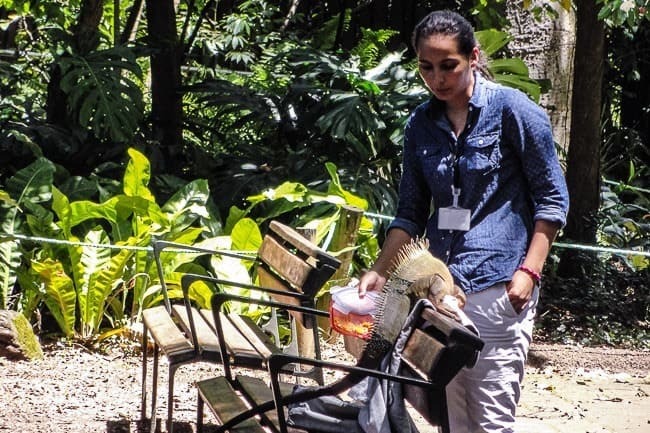 Classes are held at his apartment near the Adventist University, which is a short walk from Laureles or Belen (the northern part, at least). Miguel is by no means the only teacher in town, but he came highly recommended to me, and I also had a great experience with him. 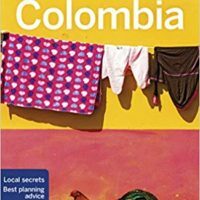 So there you have it, my honest recommendations for where to learn Spanish in Medellin, Colombia. Hope it helps you make whatever may be the best decision for you. 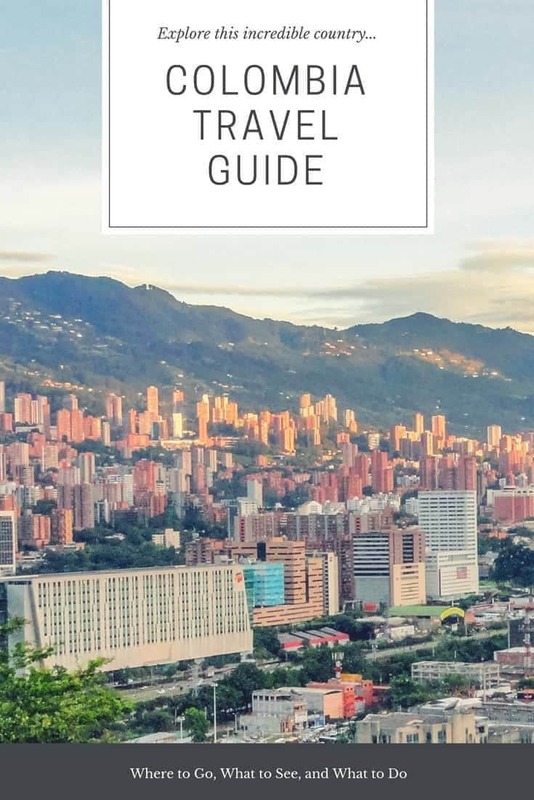 If you’re traveling to Medellin, don’t miss my guide on the top things to do in the city. And if you need somewhere to stay as you get settled, check out the top hostels or just book the perfect room on Booking.com today!